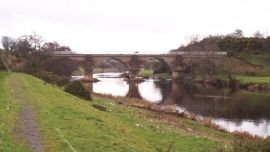 Ayrshire is found on the shores of the Firth of Clyde and the main towns in the region are Ayr, Kilmarnock and Irvine. With such outstanding natural beauty, every trip itinerary to Ayrshire should include golfing, kayaking and rock climbing. It’s all about the outdoors and adventure! If you aren’t feeling brave enough to battle waves or rugged mountains, don’t worry; there is also plenty of history and culture to be absorbed. 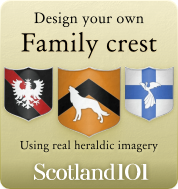 Dean Castle and Country Park offers free tours to showcase its collections of armoury, weapons, wall tapestries and authentic 14th century musical instruments. 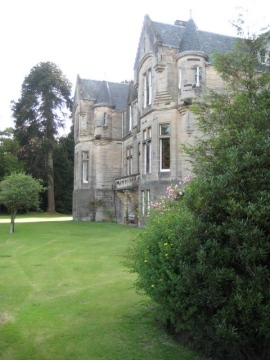 Boasting 200 acres of land, visitors are able to wander off on woodland walks, and children can enjoy the adventure playground and pet’s corner. If you prefer fishing, head on over to Eglinton Country Park; or if you fancy tackling an assault course fit for a soldier, make your way to Castlehill Park. Another spot worth a peek if you are looking to brush up on your local heritage, is National Trust owned Culzean Castle and Country Park. Dumfries House is the perfect place to relax and indulge. The café provides light bites, but the formal dining room offers up a full Sunday lunch. After filling up your stomach, you can go for a gentle walk around the grounds. If you’re feeling up to it, the official grand tour is very informative and you will even get to peek at the world’s most expensive piece of furniture. The Scottish Dark Sky Observatory is a unique attraction in Dalmellington. 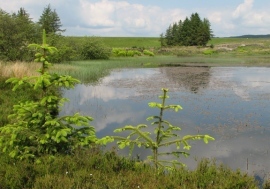 Internationally renowned, it lies atop a hill on the edge of Galloway Forest Park. Located under some of the darkest skies in the UK, this public use observatory includes various telescopes for visitors to catch a glimpse of outer space. We’re not just talking stars, but planets too, and the sights are pretty spectacular. Amateur astronomers are welcome to set up their own equipment too. For those looking for more of a physical adventure, sea kayaking in The Isle of Arran is pretty invigorating. Renting equipment through a local company and getting some instruction is highly recommended, as the currents/waves can be quite strong. But as a reward for rowing your way through the sea’s obstacles, you might catch some seals popping their heads out of the waters! 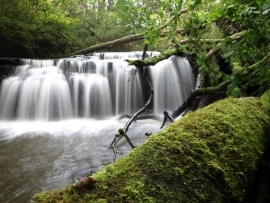 Other activities on offer in the area include gorge walking, sailing, mountain biking, abseiling and rock climbing. 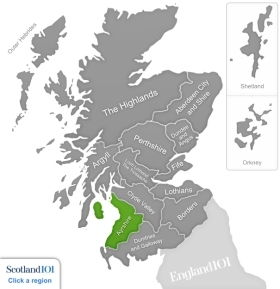 How much do you know about Ayrshire? "Eglintoncastle4" by Original uploader was Rosser1954 at en.wikipedia - Transferred from en.wikipedia; transferred to Commons by User:Kurpfalzbilder.de using CommonsHelper. 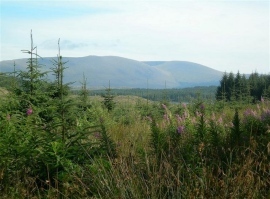 "Towards the Rhinns of Kells - geograph.org.uk - 534007" by Mary and Angus Hogg - From geograph.org.uk.